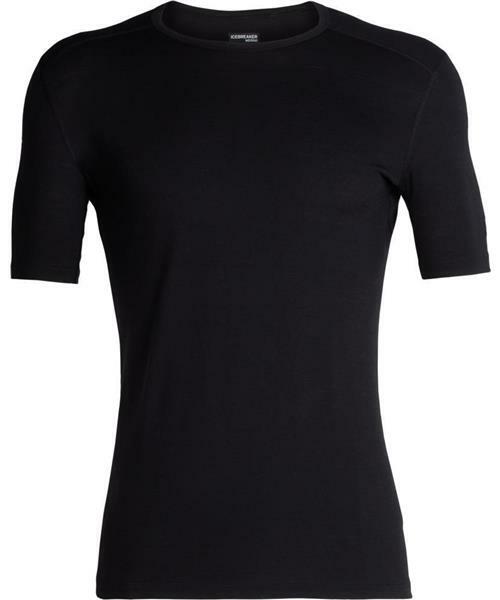 A versatile lightweight men's merino wool baselayer t-shirt for year-round layering performance, the 200 Oasis Short Sleeve Crewe is a go-to men’s top for any day of the year. 200 Oasis SS Crewe - Mens is rated 5.0 out of 5 by 1. Rated 5 out of 5 by Sheepdog from Spring, summer, autumn, winter Wear most of my icebreaker items year round for all sorts of activities (running, biking, motorcycling, casual, snowboarding, worklife) - never had any problems with about 50 different icebreaker products and so far this product holds up the Icebreaker reputation.